352 – Networking is hard. We need help! On this week’s WELSTech the discussion is on networking in churches and schools. Martin shares YouVersion Bible reading plans with devotions from Pastor Mark Jeske at Time of Grace, and the featured video is a “must see” from last week’s National Worship Conference. Making connections – The WELSTech solo podcasting stint is over as Martin and Sallie return with a face-to-face dialog on today’s WELSTech Wiki migration topic, network infrastructure. Request a wiki account and add your church or school network specs! https://welstech.wels.net/wp-content/uploads/2014/07/network145x125.jpg 125 145 Sallie Draper https://welstech.wels.net/wp-content/uploads/2017/06/000welsTechLogoEnfoldnew.png Sallie Draper2014-07-29 19:25:292017-06-06 10:52:59352 - Networking is hard. We need help! 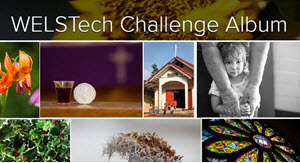 WELSTech is a podcast about how technology can be used to aid the work of the church. Video hardware for congregations is the wiki migration topic du jour. Plus Sallie demonstrates a “desktop” publisher in the cloud. Video Hardware – As we continue our summer trek through the WELSTech Wiki migration project, we explore the video hardware topic. There’s much to learn about cameras, projectors, image magnification and more! This week on WELSTech Martin is solo in the hosting chair, and he shares webmaster tools from the new WELSTech Wiki. He also has a tip and pick to share as well as more great help for digital photographers, perhaps as you try to capture those great summer vacation shots. Attention Webmasters – The WELSTech Wiki migration topics of the week are perfect for church and school webmasters. Listen as Martin shares information on getting started and webmaster tools.